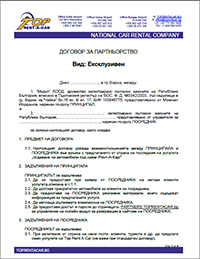 Top Rent A Car is the leading car rental company in Bulgaria, offering nation-wide service and the largest fleet of new vehicles. More information read at our About page and our Customer Satisfaction page. Offer your audience the availability to book a car and let us deal with it. 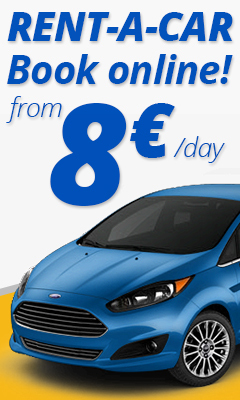 When a customer visit your website and make a booking through the booking widget you get 10% commission of the car rental price. 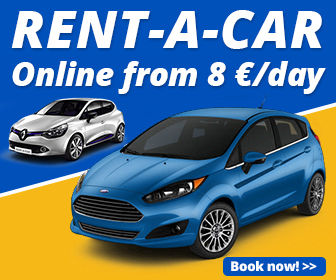 Now you can improve the functionality of your web site by adding car rental service and integrate Top Rent A Car booking widget. It is a great way to enhance your web site features and your service added value. It is also a way to have some additional profit from the commission for every reservation made through the booking widget. This is our 3rd generation widget. Through java script technology you get fully responsive, easy to integrate and customizable booking widget. It will fit all resolutions. The information, cars and prices are always up to date. We have integrated in the process 2 types of highly secured payment systems. Your visitors can pay both with credit card and PayPal. Track your searches, bookings and commissions live with our Partners Back-end panel. Here you can also add widgets and customize your current one. Choosing this type of widget, you can upload your own logo and the whole booking process will be completed under your branding. This option requires no maintatence and updating. We recommend it because it gives you the most benefit from the functionalities of our website. Another way to earn commission from your traffic is having a car rental banner. Leading the visitors to our official page, they get tracking id and their reservations will show in your Partner panel. There are 2 types of banners, most of them white label. Our partnership program is most suitable for hotels, tour operators, tourist agencies, information centers, real estate agencies or other companies that sells airline, bus, train tickets, accommodations, etc. If you are interested in such co-operation let us know and our representative will meet you, explain you all the details and provide you with the required print advertising materials.